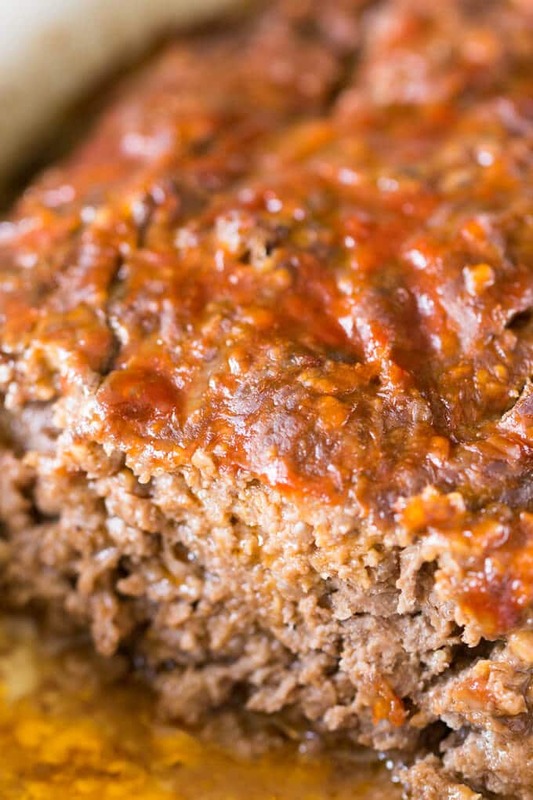 Meatloaf without eggs is quick and easy to make. 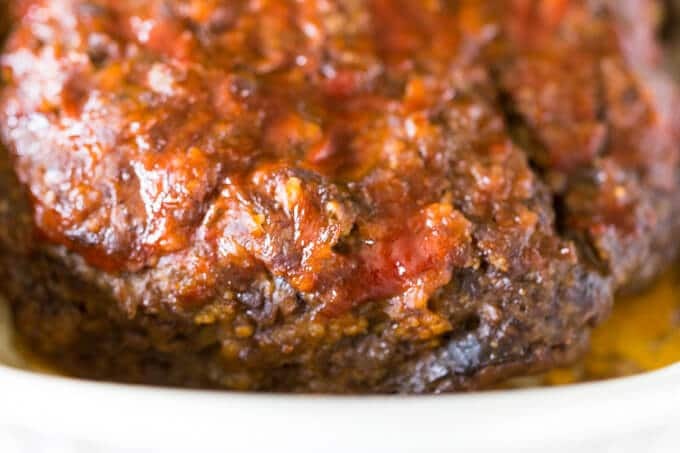 This meatloaf recipe has only four ingredients (no eggs, of course) and will be ready to bake in minutes. I’ve yet to meet anyone who doesn’t have a preference on comfort food. We all gravitate to specific recipes when we’re in need of soothing. One of the biggest life changes which you can experience is the birth of a child. I clearly remember the days, weeks, and months after our first daughter was born. She was the most beautiful baby that had ever yet existed (of course), but she was curiously resistant to sleep. And not just in the usual way of babies not sleeping. The first months with little pumpkin were like a top-secret military exercise in sleep deprivation. My husband and I eventually took shifts, which set our circadian rhythms completely awry. In this foggy state, a good meal was worth its weight in gold. Both sides of the family brought food over from time to time, which he and I would fall upon like a pair of sleepy wolves. It’s these memories that inspired me to share this recipe for meatloaf made without eggs. 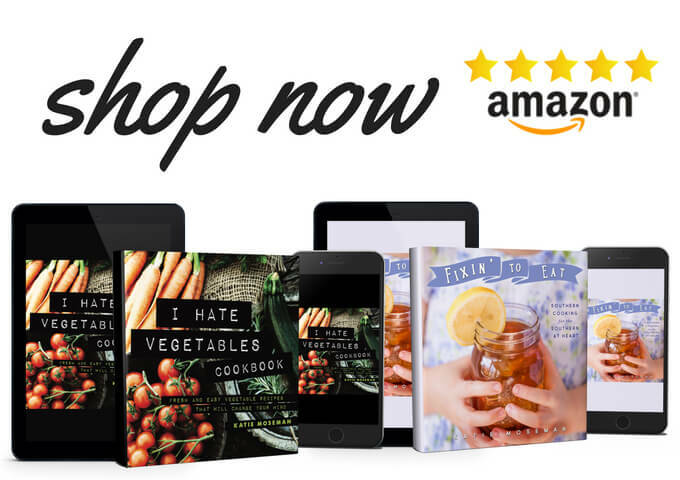 If you know someone who is going through a big change, like becoming a new parent, home cooked food is the perfect gift. 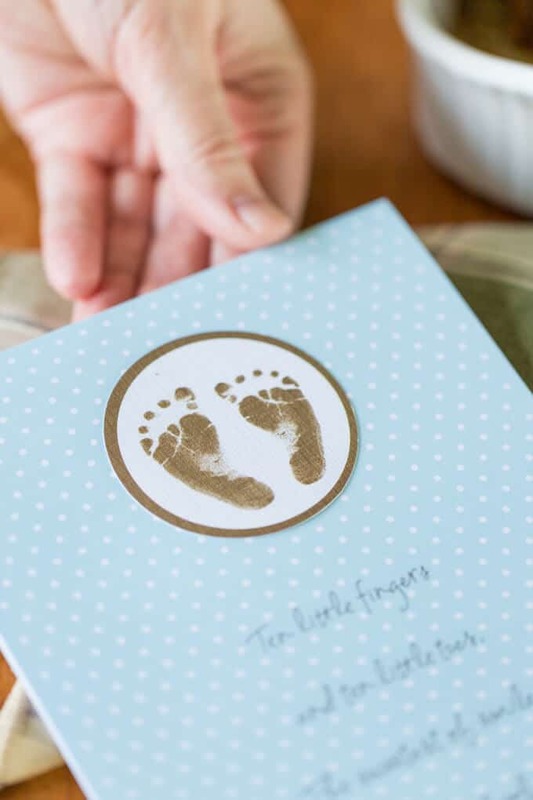 You can pick up a keepsake greeting card from Target to go with it. I was browsing in Target the other day with this topic on my mind. After I spent a little time in the baby section, wistfully admiring the tiny onesies our girls have long outgrown, I wandered over to the greeting card section. 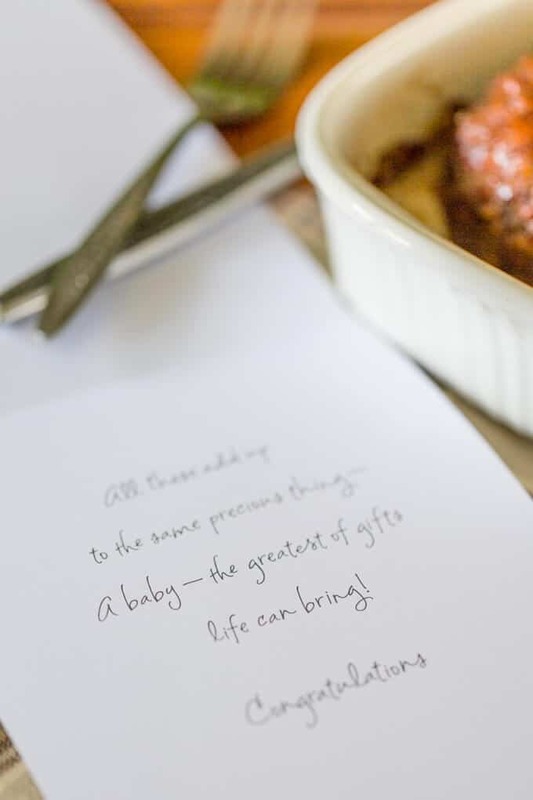 I found a new baby card that was so perfect I had to bring it home, saved for the occasion when I’ll make this meatloaf without eggs and bring it to someone I love. It made me smile to imagine the joy that the card and the meal would bring. It also made me laugh a little when I realized I’ve become someone who collects greeting cards for all occasions, even when those occasions aren’t here yet. Enjoy this recipe for meatloaf without eggs, then share it without someone you love—and throw in a lovely card from Target for good measure. How does meatloaf stick together without eggs? The crumbled crackers act as a binding agent. And when you think about it, you’ll realize that burgers don’t need eggs to hold them together—so why should meatloaf? Can you freeze raw meatloaf? Yes. Wrap it very tightly in plastic wrap in the same shape that it will be cooked. You don’t want to have to defrost and reshape it. Defrost it overnight in the refrigerator, then proceed with the usual cooking directions. Can you freeze cooked meatloaf? Yes. Cooked meatloaf freezes very well. Wrap it airtight with plastic wrap or in a sealable plastic bag. 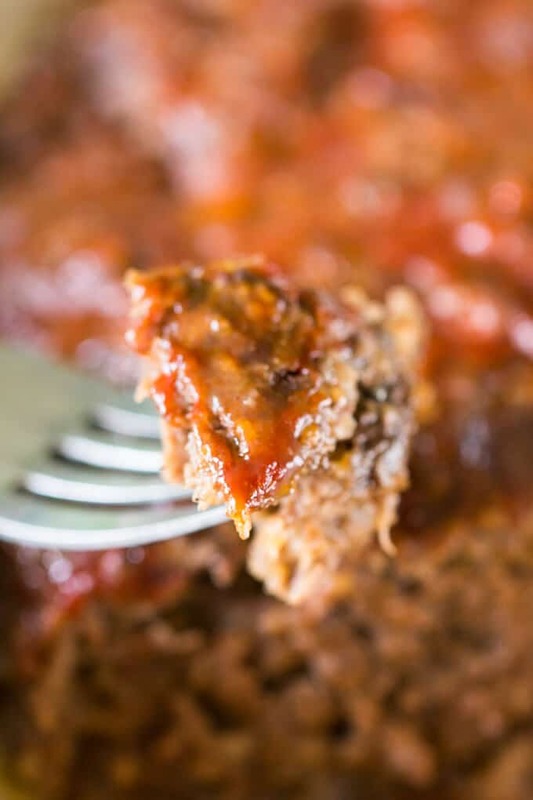 Defrost it overnight in the refrigerator when needed, then reheat in the oven at 350 F until the internal temperature reaches 165 F.
How do you make meatloaf gluten free? Use gluten free crackers and crush them into powder, or run them through a food processor. You can also substitute seasoned gluten free breadcrumbs, but they are less widely available. See also my gluten free meatball recipe! In a large mixing bowl, combine the cracker crumbs, 2 tablespoons of the ketchup, water, salt, and black pepper. Mix well with a fork until a chunky paste is formed. Add the ground beef to the bowl. Mix with the paste until thoroughly combined. Place the mixture into the prepared pan and pat down until even. Use a brush to glaze the top of the loaf with the remaining ketchup. Bake at 375 F for about 40 minutes, or until the internal temperature in the center of the meatloaf reaches at least 160 F. Remove from oven, let cool for 5 minutes, then slice and serve. If you don't have cheddar crackers, you can substitute an equivalent amount of seasoned breadcrumbs. If you don't have a 1 quart baking dish, use a bread loaf pan (first choice) or an 8 by 8 square pan (second choice). Check out the American Greetings Pinterest page for more greeting card inspiration! I don’t like eggs in my meatloaf. For me it holds together just fine with cracker crumbs or breadcrumbs. Thanks for the recipe!